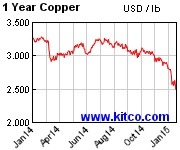 Copper prices also continue to fall. Steel remains flat and low. 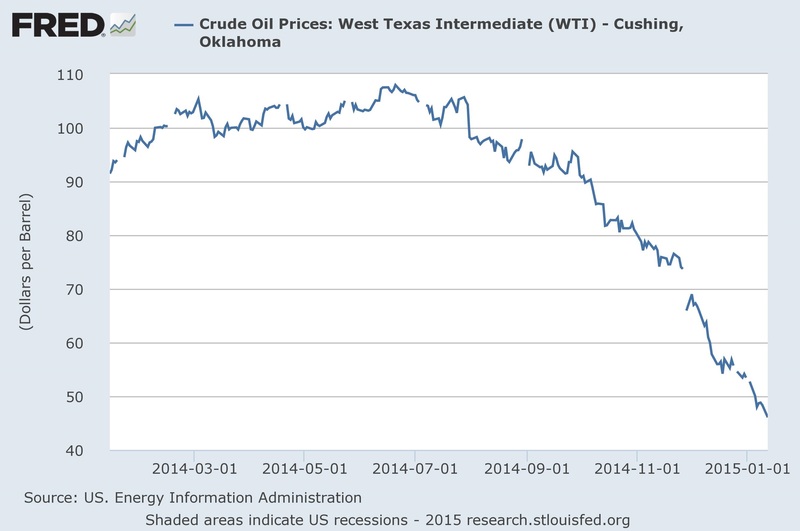 Low oil and copper prices make improvements in demand unlikely. 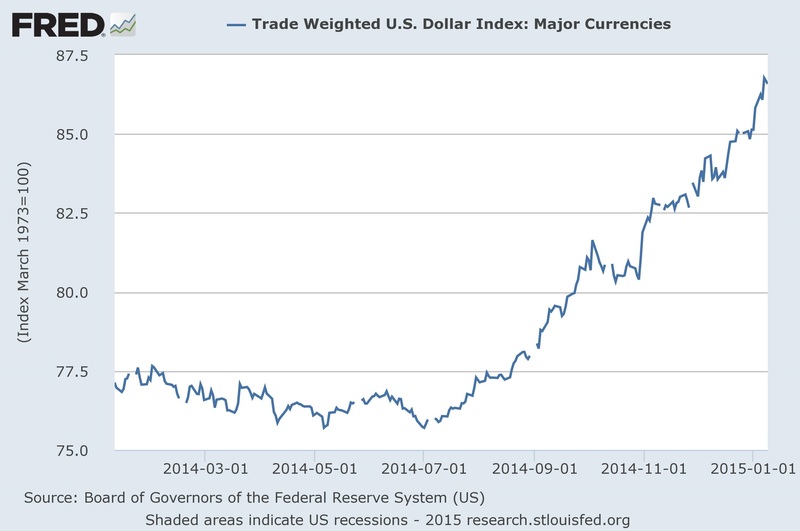 Dollar going up means more competition from imports, less opportunities for exports. 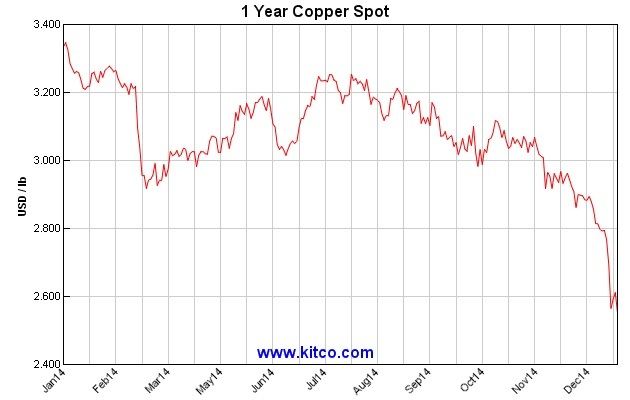 Copper also down. It tracks industrial activity, bad news. 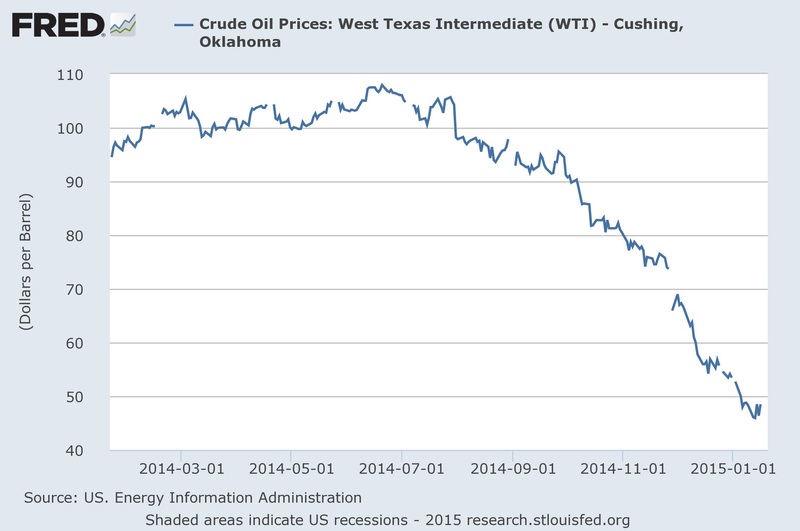 Oil off below $50 a barrel. 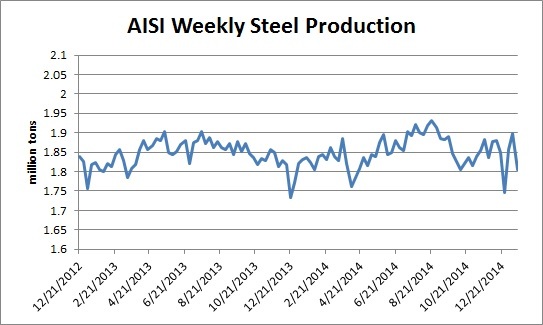 Steel casting sales trace price of oil. When rates fall, borrowers refinance their mortgages and when rates rise, they hold onto their mortgages; thus, lenders know that when rates rise they risk being stuck for a long time with below-market returns. That gives them a powerful incentive to raise their rates before the Fed begins to move; yet, the data shows no sign on such a preemptive rise in mortgage rates. Car loans and personal consumer loans also display a slow and steady downward trend in the average rates over the past year. Combined with the pattern of mortgage rates, the picture of rates in the marketplace seems clear. While all the experts expressing opinions (including those at the Fed who actually make the decision) are convinced that the Fed is about to start increasing interest rates, those who lend money do not seem to be acting as if they are worried about either a higher cost of funds or increased inflation. Lenders continue to be quite willing to lend money for rather long terms at historically very low rates.